This teaser solution was originally published in a Friday File for the Irregulars on November 30. The same ad is still circulating and several new folks have asked about it, so I’m releasing it for all to read today. What follows has not been updated since the end of November, and the ad is also unchanged, but I’ve added a brief note about the three stocks to the bottom by way of a minor update. Enjoy! Marc Lichtenfeld is pitching his Oxford Income Letter ($79/yr) with an ad about “Extreme Dividends” — and with everyone feeling a little shaky after a couple tumultuous months in the market, dividends and “money in your hand” offer some solace, so maybe some of his ideas will strike your fancy. 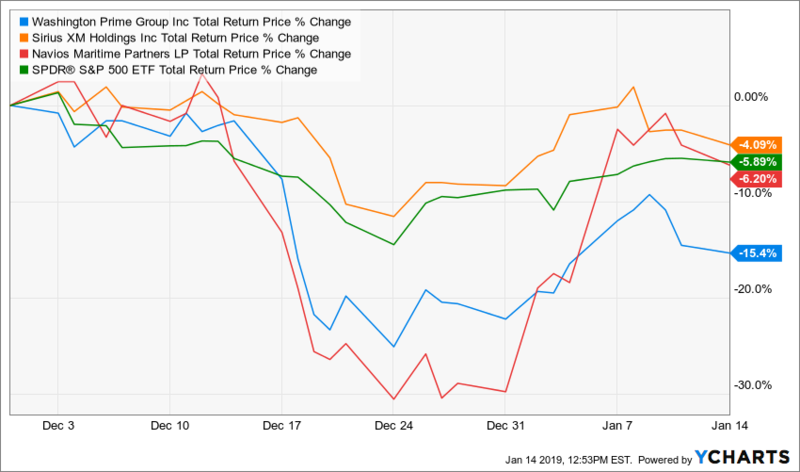 That kind of recurring gain is possible, of course, if you find a company that’s on a strong “dividend growth trajectory” and has staying power, particularly if you find it when it’s not yet beloved (or even trusted), but it typically takes good stock selection and lots of patience — usually for decades. And “possible” is not anywhere near the same as “likely” — there’s a reason why the folks who squirreled away a little bit of a dividend-paying stock, let the dividends compound, and waited 30 or 50 years to become multimillionaires are great stories, it’s because that doesn’t usually happen. Compounding dividends and long-term patience have indeed built some fortunes, but they don’t usually do so on the back of just a single purchase at just the right time — they do so on the back of continuing, disciplined regular investment in strong and steady stocks that most of us would typically think of as “blue chips,” at least in retrospect. “I’m going to teach you the only proven way I know you could generate 100% income yields on your savings every year… for life. “This means that a $1,000 investment would PAY you $1,000 or more every single year…. “And in the best cases, you can even make much more than that – up to 10 times your original investment paid directly to you. No, but it does require good fortune (or good luck, if you prefer), and usually a lot more TIME than is implied. You’re not likely going to get 100% income yields “every year” — but perhaps, if it works out well, you’ll start to get something like 100% income yields on your initial investment starting 10, 20 or 40 years from now. There are a few rare examples of that happening faster, from turnarounds or surprise growth, but there are a lot more examples of it not happening at all — and, of course, a newsletter ad copywriter can come up with a historical chart or example of anything… the number of odd windfalls that have happened in the market over the past 100 years is amazing, particularly if you don’t compare it to the number of surprise stock price collapses. “Lichtenfeld describes PETS by saying that “its Extreme Dividend rose SO HIGH, SO FAST, that again, over time, a $5,000 investment started paying $13,332. That’s technically true, but that’s a pretty spectacular case — mostly because PetMed Express was a horrible company 15 years ago and became a pretty decent one more recently. You could have bought shares in 2000 or so for less than 50 cents, when the company was under all kinds of investigations and was facing huge liabilities and all dot-com stocks were crashing, and then a few years later it began to stabilize in the mid-2000s, and even started to pay a dividend in 2010. They raised the dividend pretty quickly, and the annual dividend is now 97 cents/share (for the trailing four quarters), so yes, if you bought at the bottom, 18 years ago, you could be receiving an annual dividend that is larger than your initial investment… though you would have had to sit through a lot of pain along the way, including a 50% drop in the share price this year. If you want to have a relentless focus on dividend growth, particularly among small and more fragile companies for whom investor sentiment can shift wildly, that can work really well if you’re patient and can handle the volatility and the work of really monitoring those investments… make sure you understand the company well and are very confident that the dividend will continue and grow, sometimes you’ll need that dividend to provide solace during a bad patch. And, of course, diversify and don’t count on just one investment to build your portfolio. “The first company I’m targeting is a very young real estate company. It was founded in May 2014 in Columbus, Ohio…. A year or two ago buying mall REITs in the age of Amazon would have seemed super-contrarian, and it’s still an iffy proposition, particularly as we watch Sears stores close and wait for the next big retailer to succumb, but sentiment about retail has certainly improved a bit this year with the strong employment numbers and good consumer confidence (though we got the first dip in that measure recently). “Consumer confidence is the highest it’s been in almost two decades. “And this company’s business is exploding. “As I said, right now it trades for just over $6. “But at its current growth rate, and under its excellent management, net income should hit $1.3 billion in the next three years. “At its current dividend payout ratio, that means the dividend should be $6.59 per year. “And I expect it will only continue growing from there. This, sez the Thinkolator, is Washington Prime (WPG), which was created when Simon Property spun out some of its malls and that spun-out firm merged with Glimcher Realty Trust. They own 106 “core assets” that are mostly town center malls and enclosed shopping centers, and the operations have been relatively stable over the past four years — they are profitable and seem to be doing OK at keeping occupancy up. Like most mall operators, they’re focusing on bringing in tenants to replace the old traditional “anchor” department stores, including more big box stores and “lifestyle” companies… whatever that means (often it means “lower rents,” I bet). And they’re focusing on that “town center” idea of creating a lot of mixed-use space, including medical facilities and hotels and office space around more traditional mall-type retail areas. I’d say losing half of your tenants in a large category is fairly “draconian” over a few years, though, yes, it’s also important to note that this isn’t a new thing — other department stores have died in the past, and this was clearly telegraphed and those stores haven’t done well or drawn in new customers for a long time, so maybe just cleaning house and getting a bowling alley or climbing gym is better for the rest of the mall even if the rents will never be as big as the “anchor” rents used to be ten or 20 years ago. You can review their presentation here if you’re curious — they are being strategic, they do have plenty of “liquidity” (though that includes lines of credit, mostly, not just cash), and they do have a good credit rating so they can probably keep borrowing money and refinancing their debt as it comes due (there are no big scary maturities coming up imminently that I can see). And, yes, they do pay a $1 a share dividend… and the stock is down to $6 a share… so the yield is ENORMOUS at 16%. They have never really grown the dividend, and I don’t see how they have the wherewithal to start now — they are really working on strategic initiatives to keep revenue stable and remain profitable, I don’t see a lot of “growth” in their plans. The last slide of the presentation just says “GRIND IT OUT,” and that kind of looks like what they’re doing. So yes, this is a high yield REIT that owns mostly mall-type properties, some more attractive than others… and they are in the midst of a lot of work to refresh those properties and replace Sears and other faltering large tenants. I don’t know enough about them to judge whether or not they’ll be successful, but they do have a decent chance. The risk is probably on the debt side, since their stock price is so low and the dividend so high that issuing new equity to fund their growth and strategic initiatives would be hugely expensive… assuming they don’t cut the dividend (selling new stock now would “cost” 16% a year in dividend payments, a lot more than debt would cost… though with debt at three times equity now, I’m not sure how much more borrowing they can do). And that’s about all I know about this one — make sure to understand it very well if you do buy, a contrarian can make a lot of money buying “left for dead” companies… but only if they don’t actually die. The 16% dividend yield is a signal that investors think they’ll either run into balance sheet trouble or cut the dividend… and they could be wrong, this could be a great buying opportunity as the company stabilizes their weaker properties over the next few years, but I’d guess there’s nobody out there, with the possible exception of Marc Lichtenfeld, who is convinced they’ll be able to somehow increase their revenue by 200% or 300% over the next few years (the revenue has been in steady decline recently, down about 20% since 2015… that doesn’t mean it will keep declining, but just “flattening out” would be a pretty substantial accomplishment by management at this point). This is still a REIT, they still grow only by building or buying properties, both of which cost money (which means borrowing more money, or selling more shares), or by raising rents, and it seems to me there are no mega rent increases in the offing for these kinds of properties. I can see the argument that this is “undervalued” by some metrics, but I don’t see what’s likely to make it stop being undervalued in short order. “The second stock I’m looking at is a very cool tech stock. “It also trades for just over $6. “And just as we want, it only recently started paying a dividend…. “It’s one of those internet music companies like Pandora and Spotify, except for one MAJOR difference. OK, so that’s interesting… what else? “… while Spotify is losing millions, this company is making a fortune. “Yes, in its first year, it lost money. “But by the second year, it made $43 million. “… it has a free cash flow of $1.89 billion. But it pays only 17.5% of that toward the dividend. We’re told that the company has 35 million subscribers, which is about half as many as Spotify… and that Lichtenfeld sees the dividend going to “as much as $10 per share” in the next three years, which, obviously, would be an “extreme dividend” if you paid only $6 a share. So who is it? This, sez the Thinkolator, is the satellite radio operator Sirius XM Holdings (SXM)… which is, I suppose, a music streaming service (particularly since they’re buying Pandora) — though it also has those big, capital-intensive satellites that they rely on to serve their core customers, those who get the service in their cars (which also effectively limits their service area to North America). And yes, they have been mostly profitable since the 2008 merger of Sirius and XM, their first profitable year was 2010 and they did make $43 million then, rising to $648 million in 2017. On a trailing basis it’s now even better than that, with net income over the past four quarters of $887 million. I’m a Sirius XM subscriber and like the service, though I don’t know that it will remain relevant beyond the next five years or so — it seems likely that continual improvements to wireless internet will probably bring a lot more competition their way in connected cars, much like streaming threatens cable subscriptions. Maybe they’ll evolve to provide more services (they do already, though it’s a small part of the business), or maybe customers will be so delighted in the service or so committed to their unique content that they’ll keep it and stay loyal even when Pandora and Spotify and YouTube and whatever else are all available on live stream in their cars, too. It’s hard to guess at what folks will be willing to pay for “better music” in the future, but car audio is certainly more competitive with ubiquitous wireless broadband than it was when satellite was really the only option beyond AM and FM. So I don’t know what the future holds. Analysts are forecasting steady but not dramatic revenue growth, going from $5.75 billion this year to $6.4 billion in 2020, with earnings going from 26 cents to 31 cents. That’s pretty good for a $6 company, and they did just start to pay a dividend and have been growing that dividend. The current yield is not big, they are paying out 1.21 cents per quarter, so that’s about a 0.75% yield… but they have signaled an intention to raise it steadily, the past two years have seen exactly 10% annual dividend hikes. If they keep up that pace, the dividend would rise to a yield on cost of about 1.25% in five years… so if you want an “extreme dividend” it would have to come not from the steady growth that they’ve signaled so far, but from something much more dramatic. They are in the process of buying Pandora (P) in an all-stock transaction, so that might be the shakeup they need to restart growth, and it will probably provide more revenue growth… though I don’t know what their strategy is as they take on Spotify, which really seems to have captured the attention in this space. I’ll pass on this one, but it is always interesting to keep an eye on — if only because John Malone is the controlling shareholder, and other big-name folks (including Buffett’s Berkshire Hathaway) have held the stock in the past, and it has shown some clear improvement over the past couple years. You can also get indirect exposure to Sirius via Malone’s Liberty tracking stocks (Liberty SiriusXM Group, LSXMK or LSXMA), though those don’t pay a dividend. “It trades right now for just over $1.50…. “The dividend only has to reach $3 per share to hand you 200% income every year. But I think it could go even bigger, to $5 per share. We’re told that revenue is “around $222 million” … and, well, that’s about it for clues. Who are we looking at here? This pretty well has to be Navios Maritime Partners (NMM), a MLP (master limited partnership, as opposed to a corporation — meaning you get paid “distributions” instead of “dividends,” and have a K-1 partnership form to file as part of your taxes). Navios is managed by Navios Maritime (NM), its general partner, and owns 40 vessels (various sizes of dry bulk carriers, plus five container ships) as well as a 36% ownership in Navios Maritime Containers (likely to go public soon at NMCI), which owns 26 container ships. All of the Navios companies have been in pretty steady decline for a couple years now, and NMM is no different… partly because the business has been weaker than they might have expected five years ago, but also partly because they have issued so many new shares. Their revenue has doubled since the financial crisis, but their revenue per share has fallen by 2/3. And yes, that $1.50 per share price has become even a bit more stale now, it has dipped to $1.20… and has remained low enough for long enough that they’re no longer in compliance with NY Stock Exchange standards, so they’re proposing a 10:1 share consolidation (or “reverse split,” if you insist) that will be voted on at their annual meeting in a few weeks. Investors tend to hate those “reverse splits,” probably mostly because that kind of desperate share consolidation can mark just the beginning of a precipitous decline — though it’s not always the “kiss of death,” and in financial terms it really doesn’t mean anything… you have 1000 shares at $1.20 today, if they approve the split you’ll have 100 shares at $12. All else being equal. Navios Maritime has never really been profitable, but that’s not terribly unusual for MLPs — a lot of what they distribute to shareholders (sorry, “unitholders”) is not really from “net income” but is instead from net cash flow. These kinds of capital-intensive assets (ships, in their case) bring huge depreciation charges, and instead of reinvesting that depreciation into refurbishing or replacing the fleet they use a lot of it rewarding their shareholders — and if things go really well, perhaps the vessel will maintain a “real” value that is far above its depreciated value on the balance sheet, though it’s easier to have confidence in that with a pipeline than it is with a ship. So Navios comes in as another “catch a falling knife” stock, though they do look a bit more stable and rationally financed than some of the shipping companies I’ve looked at over the years, with the balance sheet further improved by the sale of a couple container ships just this quarter, and they have a solid backlog of contracted lease revenue. They’re also distributing some of their Navios Maritime Containers holdings to shareholders to provide a bit more liquidity for that company when it goes public, which is expected to be soon (if you buy today you won’t get those NMCI shares, the record date has passed, though it won’t be a huge amount regardless). Navios does not seem to be in crisis just yet, from what I read in their most recently quarterly presentation. Their big debt maturity doesn’t come until 2020 and there aren’t massive draws on their cash coming as far as I can tell unless they place some new ship orders, so the big determinant of their future will probably be some combination of interest rates, global trade flow, and shipping rates — and since trade flow and interest rates are also reflected in shipping rates to some degree, probably the baseline Baltic Dry Index price for dry bulk shipping is the most important number to keep an eye on. The BDI is pretty volatile, it has had a couple years of decent recovery from the 2016 lows but is also 20% above this year’s lows and almost 30% below its highs right now. Global trade war and any kind of “China slowdown” are both not so good for container ships and dry bulk shippers, so I’d expect more volatility unless you’re pretty sure you know where our leaders are taking us these days. Navios is currently paying a nominal distribution to unitholders, at an annualized pace of eight cents per year — that still registers as a meaningful yield since the price has fallen so far, that would be a 6.6% distribution yield if they keep it up, but I wouldn’t count on it as a definite. They stopped paying a distribution at all for a couple years… but, if you’re looking for optimism, they do have a history of much higher dividends during the good years, the annual payouts ranged from $1.54 to $1.77 for their best years from 2009-2015. They had about half as many shares back then, but even so, if the business returns to those cash flow levels on the back of much improved shipping rates, which are possible but certainly not assured, then it is possible that you could end up with an “Extreme Dividend” in the future that pays out a much higher dividend. Just be prepared, as always, for the fact that you’re betting on something that not many other folks have the stomach to bet on right now… which usually means that both the risk and the reward could be very large. I don’t have a problem with that, but it’s not necessarily the volatility that folks who are attracted to “income stocks” are looking for. So there you have it, three relatively unloved stocks that have the potential to pay pretty decent dividends — I’m not impressed with the growth potential of any of them, but Washington Prime (WPG) probably has a better than 50/50 chance of maintaining its high dividend, which provides a huge yield right now of 16%, and Sirius XM (SXM) might be able to restructure into something more exciting once they acquire Pandora (or have a messy merger and fail, of course), and they are steadily growing the dividend and could theoretically grow it faster, though I don’t think they will do so dramatically. Navios Maritime Partners (NMM) is trying to stop its freefall by emphasizing their balance sheet strength, and has the most wildly explosive yield potential if their sector does improve, but they’ll probably also rely heavily on outside factors (global trade sentiment, dry bulk shipping rates) to get any kind of sentiment shift that changes investors minds. I’m not buying any of these today, and none of them are on a real sentiment upswing of the type that makes buying feel good, but they’re all rational ideas if you can handle the clear risks to each (falling mall traffic, falling auto sales, falling shipping rates, respectively… and rising interest rates are of some risk to all three). During this very brief time period, Sirius XM has done slightly better than the market… helped by some recent analyst optimism about Pandora and a “beat” for subscriber growth in 2018. Navios hit new lows into the end of the year but bounced back pretty sharply in the past few weeks (with the market) as value investors got interested, perhaps because of their decent cash flow prospects in 2019… and the $50 million buyback announced last week is still small, but this is a microcap comany at $190 million so it could make a difference. Washington Prime is the weak link recently, mostly because it has been caught up in the Sears story as that got a lot more press, with some up and down moves as Sears’ imminent bankruptcy was announced and then some mild hope stirred with Eddie Lampert’s plan to “rescue” the company… and it got the ultimate vote of “no confidence” came with the Goldman Sachs downgrade of WPG to “sell” on December 18, which came with a cut in the price target to $4.30. I still don’t own any of these, and they all face substantial risks, but the price has gotten a little better for all of them, and the dividends are not yet changed… WPG will likely report in the third week of February, NMM likely in the first week of February, and SIRI at the end of January. If you’ve got any thoughts on these folks or their prospects for the year to come, please let them fly with a comment below. Thanks for reading! 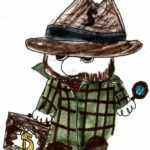 28 Comments on "Solving an “Extreme Dividends” Teaser — Can you get a 100% yield on your savings?" In general I have had a significant amount of success following recommendations by Marc. I have purchased 500 shares of each of these and have no complaints with their performance. That’s good, but in spite of the huge dividend from WPG REIT, I will stay with the Thinkolator and say no to these 3 recommendations. Thanks for the update Mr. Gumshoe. I am enjoying the dividend and gain in IIPR, a cannabis REIT that SG has written about many times. Those are surprising recommendations from Lichtenfeld, given that NONE of them are on his current recommended list! I’ve had reasonable success with the Oxford Income Letter, but I’ve been investing and re-investing in dividends for a number of years now. Most of his recommendations are far more reasonable. Happy to do some sharing, if that’s appropriate on this site! How about PDRx Pharmaceuticals? For the year 2018 they paid $3.06 in dividends. In 2017 they paid $.30 a share. At the time the stock was trading @ $6.00 per share for both years. Anyone have any thoughts on this; would it be a good idea to buy Pandora knowing that Sirius is going to buy Pandora? If you buy Pandora, the merger will fall through, dropping the share price. If you don’t buy Pandora the merger will go through no problem. I’m having a lot of fun with NXP Semiconductor falling back to a very old/lower share price after the merger with Qualcomm fell through. If I could get a time machine and “unbuy” NXPI, then the merger would have gone through no problem. Einstein covered this in his general relativity theory. $HCC is a name that I am looking/hoping will be issuing another special dividend soon. They have had a couple I think that was substantial. The sector is met coal which I seem to be the only person alive bullish this sector. Was that post above written by AI? It’s not quite English, and well beneath the standards for clarity and understandability of a decent grad school. It could get a B+ at a 3rd or 4th rate grad school, but if you asked the thesis advisor what it meant, he would only be able to hem and haw and mutter. What do you think about. https://moneymorning.com/2018/12/19/toms-alpha-9-fast-profits-trade-recommendation/ Received an email pitch for this yesterday. Based on the source, I wouldn’t bother. This place is a much better place to pay a fee and take their advice. I will probably subscribe once one of my two subscriptions to other places expires. As far as me is concerned, any thing smelling at Oxford Club, I say NO THANKS, allthough Marc Lichtenfeld isn´t as bad as Dr. Kent Moors advises. With regard to WPG, EPS is 39 cents/ shares but they payout a $1.00 dividend. How long can that last? Thanks for your reply Travis. I wasn’t aware of FFO vs. EPS. FFO is basically just earnings minus depreciation, amortization, and gains and losses from the sale of properties — it’s supposed to be a cash flow measure that reflects the basic operating cash flow from a relatively stable portfolio of income-producing properties, though it’s not as standardized as many would like and you’ll also see a lot of “adjusted FFO” just like you do with non-GAAP earnings. The REIT association is trying to get everyone on board with more disclosure and standardization, their white paper on it is here if you’re curious. I love that you check back on these things and update periodically, it allows me to keep my inner hype-man in check and know that I’m making good non-decisions. I had NMM a few years ago and was bathing in its high dividends, when it crashed from about $11 to its present value. The star of the company was supposed to be a pretty blonde Greek lady CEO wizard…DHUH! WPG on 1/15 was downgraded from a hold to a sell by Suntrust and it’s equity summary score on Fidelity is .4 out of 10 very bearish. It is yielding almost 19% though and looks very appealing. If Sears keeps many of their stores open, this stock will probably head up a little. I woulnd’t touch WPG because it is selling 14% higher than analysts 1 year projection. I also wouldn’t buy SIRI because its book value is -.31 and it has a current ratio of .18. I have bought NMM and made money. It is selling at a discount to its book value, and has great fundamentals. I sold it because there are many better stocks that are selling at discounts with better ratings. NMM has mixed ratings with Zacks and Columbine showing outperform, Morgan Stanley showing underperform and ValuEngine showing sell. I’ll take the wordiness and lack of clarity as a reasonable critique of known failings on my part, but object to the “pumping” accusation. Many newsletters do indirectly advertise on the site (through brokers and ad networks, like Google’s), which is a compromise we chose in order to offer a robust free service, but we are not affiliated with and do not coordinate editorial coverage with anyone.